A Premier Wedding Venue for NW Ohio. Are you dreaming of a barn style wedding? Our location will provide the perfect backdrop for an unforgettable event. Booking now for 2019 & 2020! Experience complete peace and tranquility as you recite your vows on your special day. The Stables is located in a natural setting near Oak Openings Metropark & The Butterfly House. 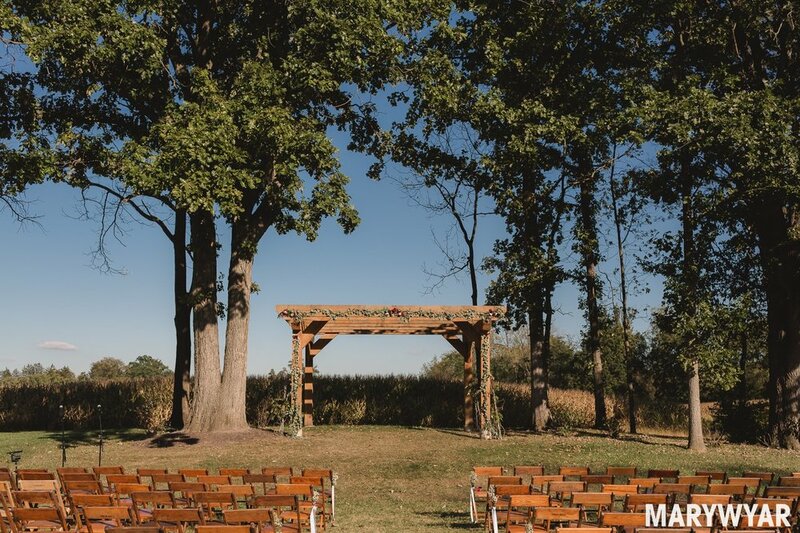 Your ceremony may be held outdoors in our beautiful pastures or inside The Stables. You and your guests will enjoy natural light, high ceilings, and open spaces in the 7,500 square foot reception area. The Stables can accommodate up to 299 guests indoors. There is also an open-air patio overlooking Swan Creek. Reception tables and chairs are available for indoor use. You can't get this anywhere else in Northwest Ohio. Watch in awe as the friendly farm animals roam the pastures of The Stables. This aspect truly sets us apart from any other wedding venue in the area. A must-have for a rustic, barn-style event. Please feel free to look through our gallery. However, we would strongly encourage you to arrange a time to come and see The Stables for yourself. Nominated in City Paper for Best of Toledo category Best Outdoor Wedding Venue 2017. Please call Mary @ 419.872.1731 for pricing Information and to schedule a tour! Beginning Spring/Summer 2015, The Stables will offer Farm Tours, Agricultural Education Seminars, Equestrian Riding + More.